DOKO is Gregor Siedl (AT) and Nicloas Chkifi (BE) – longtime collaborators on saxophone and drums – two voices sharing thoughts and feelings in a dialogue fueled by intuition, deep listening and subtle reactivity. 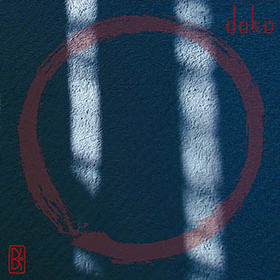 DOKO has been touring extensively in Belgium and Germany. A new record is coming up and will be released in 2017.